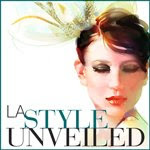 We love suggesting ways to style your own party, but now you can bring a little style even if you are the guest! 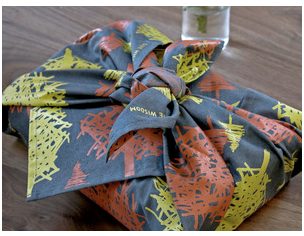 LOVE this concept we just came across that is an alternative to wrapping a gift. 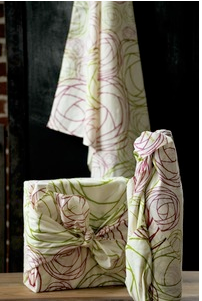 These fabric wraps are so fun, and they even have a custom message with whichever design you choose. 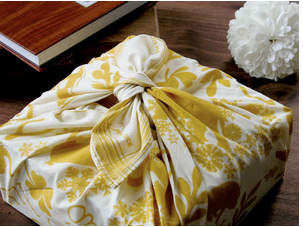 A company that specializes in these reusable gift wraps is Chewing The Cud. Little messages like..."give joy, give cheer, give luck, give love..."the list goes on. 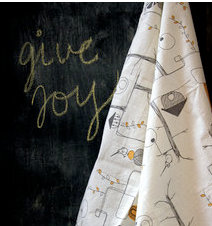 With the messages and adorable designs on these fabrics, the wrapping is a little gift in itself.